I have been a magazine reader for quite some time. In fact, I’m a periodical reader by nature, it would appear. Whether it’s the newspaper or the variety of magazines I currently read or have read in the past, I guess that I prefer material that is relatively fresh. I still don’t like reading my news online, however I have accepted it as a necessary evil. I simply can’t subscribe to the print version of all the newspapers I would like to read, but I can get what I need online. It’s a little different with magazines though. True, the online versions of news magazines such as Newsweek and Time do present breaking news on their web sites, that’s not what I read them for. I read weekly news magazines (I subscribe to Newsweek) for more in-depth analysis of the news and to get a better perspective on the trends that might be developing. Although the stories still tend to be episodic, there is at least an attempt to provide the necessary background to help explain how certain stories emerged. Besides news magazines, I read an odd assortment of special interest magazines. The magazines I read evolve as my interests do and I find these monthlies (usually) have a wealth of information that can get me caught up on the nomenclature, the technology and the industry of whatever my interest du jour is. 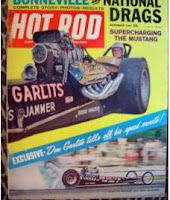 When I was young, it was Hot Rod magazine, of course. As my interests changed, so too did my monthly reading materials. I would find myself anticipating their publication and then devouring them in a matter of hours. A variety of circumstances have prompted me into new and exciting hobbies. Among the more profound was the loss of my driver’s license due to too many (ahem) speeding tickets. As a result, I purchased a new road bicycle and started commuting to my two jobs on it. I was logging as many as 250 miles per week and, as luck would have it, it was right about the same time Greg LeMond was turning the cycling world upside down as the first American to win the Tour de France not once, but three times. Lance Armstrong was just a child. Bicycling magazine was my primary source of information of all things cycling. Over the three or four years I read it, there were stories recalling the sport’s history, the current technology and where the sport was heading. When mountain bikes began to take hold, I migrated to the new sport and began reading Bicycling’s new publication - Mountain Bike magazine. The information gained through these and other bicycle-specific magazines that I would pick up at the newsstand kept me informed to the point that there was little I did not know about the sport. When I was a small boy in the 60s, my mother was what is known today as a stay-at-home-mom, or a SAHM. Where I grew up in the middle class suburbs, what became known as Silicon Valley, most moms stayed at home and ran the household. Nobody called them stay-at-home-moms however… they were called housewives and nobody really took issue with the term at the time. That would come about a half-generation later. My mom’s “job” was to manage a family of five and she was damn good at it. She did the shopping and the cleaning and the laundry and prepared almost all of the meals. She made it look easy. It wasn’t, I know that today. My dad’s job was his career and he was equally dedicated to it. In those days the husband was typically the breadwinner and my father followed the lead set down before him. In my family, my mother also handled the day-to-day financial matters. She was (and still is) the family’s Chief Financial Officer. On top of making her children’s lunches to bring to school and planning the family dinners and doing the laundry, etc., etc., etc., she also wrote the checks and made sure the bills were paid on time. And there were so many other duties that I could only really appreciate after having to perform them myself. Compared to my mom, however, I’m not even in the same league. School clothes, dentist appointments, back to school night, Little League, doctors (both routine and emergency), arts and crafts, rainy day activities, referee, tutor, quartermaster, landscaper, painter, nurse, taxi driver, seamstress, and of course, Santa Claus. And after she retired from that career, she handled all administrative and financial activities for the small business she and my father started in our garage. It turned into a hugely successful enterprise with more than 20 employees, thousands of square feet of manufacturing and administrative space and sales worldwide by the time it was sold. She is a woman of many talents and I don’t remember her ever complaining about how much work it was. Her dedication, perseverance and strength are second to none… and today is her birthday. California Assemblywoman Sally Lieber, D-Mountain View, is at it again - working hard, earning her money by proposing redundant legislation to make herself and perhaps her constituents feel like they have hearts of gold. They’re defending those who cannot defend themselves, dammit! Someone’s got to do it, right? Um, Sally… hello; somebody already has. You remember Lieber, she’s the one that proposed legislation that would make it a misdemeanor to spank children under four. She referred to spanking as “beating” and her now aborted attempt to legislate against it would save our kids from their parents who just don’t know how to raise a child. Lieber, who I am sure would be the perfect parent if she had any children, knows what is best for us. Her proposal met with immediate and overwhelming opposition. That should surprise no one, but apparently it caught Lieber off-guard. It would appear that she is not the type to admit defeat and move on. No, now she has proposed yet another bill that would define certain acts of violence against children as illegal and punishable by up to $1,000 and/or one year in jail. A judge could also sentence the offender to parenting class. This all sounds perfectly reasonable. Who would be in favor of throwing and kicking children or hitting a child with a cord? There are one or two problems with her measure. The first should be obvious: These things are already illegal, and in the more extreme cases they are felonies punishable by far more than parenting class. This measure is a waste of taxpayer dollars and the Assembly’s time. There are much, much bigger Californian fish to fry. The greater issue is Lieber’s not very hidden agenda. She has some kind of problem allowing parents to raise their children as they see fit. Actually, she has no problem as long as you do it her way - and in her mind spanking is child abuse. It’s just that black and white… she said it herself. The fact that her previous proposal met with such universal opposition has not dissuaded her at all. I am certain that parenting is not the only thing we don’t know anything about. Thank God we have Lieber providing us better living through legislation. Perhaps Lieber can just write the book - and pass it into law - so that we’ll all live happily ever after, or else. What kind of dream world does she live in and how in the world does this kind of nut get elected to the Assembly? The bright side? Two year terms. Mountain View, are you listening? Our unseasonable warm weather here in Northern California has come to an end and the winter chill is back. Although it never gets really “cold” here, for those accustomed to the balmy California climate, this is winter. It’s supposed to rain again later today and tomorrow and with it will come another dumping of snow in the Sierras. Although nobody’s panicking yet, it has been a very dry year thus far; we need the precipitation. Life, like the weather, is unpredictable. And I can never fully prepare for everything that might come my way. I can, however, be prepared for the occasional storm that is always lurking on the horizon. Relatively minor and always temporary squalls will come and go and I am perpetually prepared - I always have an umbrella in my trunk and firewood at home, ready to burn. Indeed, it seems the more travails that I survive, the more naturally prepared I become. For the immediate future, calm weather and mild temperatures are in my metaphorical forecast. There are only the day-to-day chores, appointments and assignments to be kept. All of my deadlines have been met and none are looming for at least a few days. The extended outlook is, of course, always unpredictable. I am ready, however, to weather whatever storm life may have in store for me. Experience tells me so - Sping is just around the corner. Although it’s been a while, there are times when I just feel out of sync. Oh yes, I’m fine. If asked, that’s my answer and I’m sticking to it. It might just be a sense of proportion, for I know this is an exciting time in my life. And I have been riding this wave for a while now. Life has been good and I take pride that in the areas where I could make the difference, I have done so - not only with tenacity I am so familiar with, but also with the consistency that I am not. All the same, today and for the past several, I have been feeling a little ill at ease and I can’t quite put my finger on it. Everything is pretty well caught up. Ok, that’s not entirely true, but in the very short term, things are done. There are a number of things that are looming down the road - some due to my own choices, wreckage from my past as it were - and others are simply associated with any major changes in life and lifestyle. Many unknowns and possibilities are coming up and I think it is safe to say that there is no small amount of trepidation on my part. Indeed… some of it is quite likely fear. Graduation is only about three short months away. Until recently, I didn’t have to think too much about the future; to get my degree, the direction was pretty well defined. Sure there have been options, and choices had to be made, but they have been pretty limited and bad choices weren’t included among the options. For the last three plus years all I had to do was follow a well-defined path. Beginning in June, my path is entirely up to me and there are plenty of unknowns. It’s the real world again rushing up to greet me. I’ve been here before. I have leapt without looking more times than I care to remember. At least this time I am far more prepared for what lies ahead. Perhaps that is part of the problem. I know enough to know what I don’t. True, I’m not jumping headfirst into an empty pool this time, but do I know how to swim? Oddly enough, the very knowledge that my degree will have bestowed upon me has me questioning whether I know what I’m doing. At the same time, I am very confident that I am capable of writing for just about anyone. So I guess I am also somewhat confused. In the meantime, I feel disconnected in my social life as well. I think this is due to the uncertainty of what the coming months will bring. I am feeling unwilling to commit, yet I am committed. I have an incredibly close group of friends that is fairly large - almost too large… large enough to get lost in. I want to say that they just don’t understand, not because they don’t (as far as school is concerned, many of them probably don’t), but because it takes the onus off me. That way, it’s not me. But it is, and it’s important that I understand it or I will certainly place blame when there is none. Look, my life is good. It’s better than it’s ever been - seriously. I have much to be grateful for, many friends and family to thank and, for my part, much to be proud of. Coming out of the fix I was in just a few short years ago was no small feat and there is no way I could have done it alone. Perhaps I have become just a little jaded by good fortune or maybe the relative quality of my life leaves me needing more. That is a very dangerous place, one I am all too familiar with. Writing all this out helps put things back into proportion. Personality profiles are a wonderfully entertaining way to while away some idle time. Perhaps more accurate than a horoscope and less exacting than a complete psychological workup, they have the almost uncanny ability to identify some very general characteristics based on a few simple questions. Some are created purely for entertainment and others claim to have their origins firmly rooted in scientific evidence. I don’t think the conclusions drawn by these “serious” profiles are necessarily accurate and where they dictate or “suggest” direction, or portend to indicate the predisposition of one’s career potential (or personal relationships), they can actually be acting irresponsibly. It is clear that countless variables affect the outcome of these assessments. These factors could be as uncontrollable as age and maturity or as fleeting as a specific - and often situational - emotional state. Furthermore, even subtle and perhaps unnoticed changes in these and other factors can produce considerable changes in the outcome of these surveys from day to day or even hour to hour. In short, I don’t put much faith in the results. Presented as evidence, however inconclusive (due to this project’s limited scope), are my results from different personality profile tests and the contradictions between not only different types of tests, but also between remarkably similar tests. Additionally, as luck would have it, I have results from one of these surveys that I took just about one year ago and can compare it to the same test taken just several days ago. One of the most thorough tests I have ever taken was called the “SDS,” or Self-Directed Search. Sub-titled “A Guide to Educational and Career Planning,” this assessment was portrayed as the “state of the art” in career assessment guides. Of course there is a disclaimer of sorts. The section entitled Next Steps states, “Remember: no one but you can make your vocational decision. Our knowledge of careers is too limited to provide you with a single, exact choice, but we can help you focus on some of the more likely possibilities.” Fair enough, but consider the wide-eyed teenager who is just trying to find a fit. The test asks questions about various skills and catalogs the results in six areas. Based on the three highest scoring categories, career possibilities are recommended. Although space does not permit elaborating on each of the six categories, one does demand attention. I scored lowest in the artistic (A) category. Because I can’t draw or play music or do any of the other things considered by many to be “art,” it was not recommended that I entertain careers that were considered artistic. However, all careers that had anything to do with writing or journalism had an (A) designator. Apparently, to be considered a writer, one must possess other artistic talents as well. My 19-year-old self would have been steered away from what turned out to be my passion due to an interpretive flaw and consequent deference to “expert” opinion. Fortunately, my 40-year-old self was not so easily taken. The most recent profiling tool I used was one that draws some very specific conclusions based on minimal input. In fact, as the instructions were given, there were two options; one ostensibly would produce more “accurate” results while the other less time consuming option would return more general results. “True Colors” also had the added benefit of foretelling how others might view some of my “qualities” as anything but. My results two weeks ago returned a “true color” of green. However, when I took the same profile through the Tickle web site only a little more than one year ago, I was a “blue.” Although I can’t be absolutely sure of how my specific circumstances have changed in one year’s time, I do know that no major changes in my life have occurred in the last year. The results, therefore, should have been the same. Lastly, I took the Keirsey Temperament Sorter II. After paying $19.95 for the complete report, I discovered I am an ISTP. Perhaps the “S” stands for sucker. Nevertheless, with my pockets $20 lighter I was pleased to discover that I am highly introverted (I), moderately sensatory (S), a little more thinking (T) than feeling and more perceptive (P) than judgmental. Nice. Then I took the Jung Typology Test and found it to be nearly identical to the Keirsey. It even used the same standard code for the resulting personality type. Imagine my surprise to find out I had another personality lurking in the background. Jung results: INTP. However, the weighted percentages in each of the four areas were not as close as the code would lead us to believe. For example, Jung had me as a borderline introvert whereas Keirsey pegged me as a veritable recluse. These two tests were taken minutes apart. Like fortune telling and horoscopes, the characteristics given for many of these profiles are broad and ambiguous; virtually anyone could be squeezed into any category. If the fit seems a stretch, just wait a little while or slightly change the wording of the questions. Some of these profilers proclaim remarkable consistency and repeatability. This has not been my experience - ever, and I’ve been around a while. The tests are fun, they are interesting and offer some insights that can be useful, but to take them as seriously as their creators would have us - disclaimers and caveats aside - is irresponsible bordering on dangerous. Imagine making major life decisions based on some faceless clinician’s diagnosis disguised as a personality assessment. The best way to find out what we’re made of is by real-world experience - not Scantron psychoanalysis. It rained for about two days straight. Storm drains were getting a little overwhelmed and there was “localized” flooding. Nothing really serious, it was just a lot of water to handle all at once. Now that the rain has stopped for a few hours, everything is drying out. Even those who don’t like the rain aren’t complaining - much. Although they have a genuine and often vocal dislike for inclement weather, they know we need the rain. It was an extremely dry January. I like the rain and snow and wind and fog and whatever other “unpleasantry” Mother Nature throws at us. I don’t like to see people suffer because of it, but I am left quite humbled by the force of even a simple squall, never mind a full-blown storm. I have been in more than a few of Mother Nature’s more intense displays and found that there is great satisfaction in riding them out. It’s unpredictable, uncontrollable and sometimes very intimidating. Although this recent “rain event” was nothing to get excited about, it still leaves a freshness in its wake. Everything is clean - washed by the rain as it were - and brand new again. It smells fresh. There is a slight chill and the humidity is still high. Despite the cloud cover, the blue sky peeking out is crystal clear. And although it probably isn’t any different from any other Sunday afternoon, it feels quieter… much more serene. The TV is off, the kids are not around and I have the entire house to myself. What to do? Perhaps light a fire, grab a book, my newspaper and some coffee and just revel in the tenuous peace I’ve stumbled onto. It won’t last, and there are plenty of goings-on external to my cozy little world that are not so cozy at all. But for the moment - for a few moments - the world will have to wait. Now is the time to relax and reflect. The rain will come again. I never really knew what I wanted to be when I grew up. I can’t remember having any real dreams or aspirations. I guess I thought that my life would just sort of materialize for me - unfold before me, as it were. When I originally went away to college in 1983, it was just to change something. Anything. I didn’t know what; my young life had come to a veritable dead-end. I thought that since I was kind of into computers, computer science was my calling. As it turned out, not only was it not my calling, nothing was. I was not yet willing to exercise the patience, the tolerance or the dedication necessary to be successful at anything. After two years of underachievement, I was “asked” to leave San Diego State University. I returned home and went to work full-time while attending a vocational school at night. I earned a technical certification in microwave electronics. That trade school was the first time I remember having an enjoyable educational experience. It was reflected in my grades and the employment it secured me. Looking back, it was a turning point in my attitude toward education - I have enjoyed it and done well ever since. However, although that career had a great deal of potential for a while, like so many other industries dependent upon military spending, the bottom fell out with the end of the Cold War. By this time I was married with young children. I was making good money; I had changed jobs before the military electronics bust came - I was doing pretty well. But like it always did, everything eventually fell apart. My marriage ended. I changed careers a few times and all the while, I never really knew what I was doing or where I was going. It didn’t help that I had absolutely no plan, little ambition and not much confidence either. I’ll not go into the years of tedium and tumult, but that I survived has shown that, either by fortune or nature, I posses a quality that has proven to be incredibly valuable. the quality or property of being tenacious. 1. holding fast; characterized by keeping a firm hold (often fol. by of): a tenacious grip on my arm; tenacious of old habits. 2. highly retentive: a tenacious memory. 3. pertinacious, persistent, stubborn, or obstinate. 4. adhesive or sticky; viscous or glutinous. 5. holding together; cohesive; not easily pulled asunder; tough. It’s a characteristic that can be spun in a number of positive as well as negative ways. The bottom line is that I’m a survivor and I don’t easily - or apparently, naturally - give up. I’m not sure where it came from, but I’d say it’s at least as much experiential as it is genetic - as much attitude as environment. Enduring pain, both physical and emotional, became my badge of honor. Reigning in tenacity so that it provides the drive and fortitude… the focus needed to achieve a long-term goal has historically been a problem. Often that energy has resembled nothing more than so much white noise - flailing about and expending vast amounts of energy while getting little actually done. I guess that same pain that I so closely identified with - that defined me - finally became too large a burden to bear. Through a series of events that I of course never saw coming, I was forced to accept that something was not working. All I ever wanted was a little peace, to be happy for some reasonably sustained period of time. I wanted to stop fighting and enjoy life - not just endure it. I didn’t know it, but I always had all I needed to create that reality. I just had to focus it. I don't need to be all things all the time. Today, I am enough. This is my final semester as an undergraduate. By the time the end of May rolls around, I will have completed another 15 units of higher education. However, I only need nine units (three of five courses) to graduate. 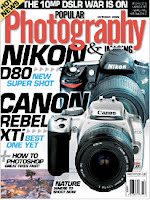 Two are optional; one of them, Magazine Writing (JOUR-132), is within my major and another, Basic Techniques of Photography (PHOT 040), is very closely related. Of the three that are required, two are journalism classes. The remaining class is one that has thrown me for a loop. I’m usually pretty clear on how I feel on matters of principle, but this time - not so much. Perspectives on Leisure (RLS 122); what could be easier? I figured if I were going to be forced to take a course that is intended to assure I have a rudimentary grasp of written English, I would take a class I could “phone in.” But I sure wasn’t going to like it. Perspectives on leisure sounds relaxing. My brief, unofficial, unscientific - and as it turned out - inaccurate research indicated that it would be a cakewalk. It meets once a week for two and one half hours. At two weeks in, I have invested five hours towards this required course. I went into it with a resentment. I don’t feel that certain majors that are by their very nature “writing intensive” should be required to attend such a “menial” class. Did you sense the air of elitism? It was not by accident, that’s how I felt going into it. Although I know better than to outwardly display my disgust, I also know that I wasn’t going to like this class. Not one bit. I would just endure it damn it! I’d show them. Imagine my surprise and dismay when I found myself leaving campus this evening with a smile on my face. I wasn’t supposed to like this class - it was supposed to be a waste of my time. One thing that I have learned through long and often painful experience is that if I’m having a good time, I might as well enjoy it. Sure, this class won’t tax my writing ability. In that respect I can put it on cruise control, but this class has a good deal of energy that I never expected. The instructor has this infectious playfulness about him. I could only resist for so long. Besides the emphasis on writing simple and grammatically correct prose, the class has much to do with human interaction. There is a huge “activity” component. This evening we went into the aerobics gym and played these really, really stupid games. They’re of the icebreaker variety - the kind that are designed to break down interpersonal barriers and get people to interact with each other. I was just juvenile… I wanted to hate it. But I did it and actually found myself laughing, cheering on my group and genuinely having a good time. So I stand corrected - sort of. I still maintain that if the intent is to guarantee a minimal level of writing proficiency, then some courses of study ought to be exempt. However, if the intent is to broaden the educational experience, then so be it. But call it something else… call it the “interacting intensive” requirement. For my part, I guess I’ll just try not to be so rigid and serious. After all, this is my last semester. Proving once again that the California Assembly must not have anything really important to do, Assemblyman Joe Coto (D-San Jose) has proposed a bill that would mandate high school students to register to vote before a diploma will be awarded. That’s right, every high school senior will have to be registered to vote in order to graduate. There is so much wrong with this idea I hardly know where to begin. Let’s start with some statistics. According the California Secretary of State, of the approximately 22.6 million Californians eligible to vote, about 70 percent or 15.8 million were registered as of the November 2006 election. Of those registered, 8.9 million - only 56.2 percent - voted. As a total of all eligible voters, the percentage is a dismal 39.3 percent. Although making kids register to vote might increase voter turnout, it certainly does not guarantee it. I don’t think I want everyone to vote just because they’re supposed to, compelled to or coerced to. I want them to vote because they want to. These are the people who are paying at least some attention to what’s going on. Sure, many will vote a straight ticket or be persuaded by negative campaign advertising, but even those who vote by picking up on the abundance of cues available, studies show that they are by and large voting their conscience. In other words, having only cursory knowledge of the issues and the candidates is enough to cast an informed ballot. However, there are those who vote with no idea what they are voting for. It could be the top slot on a ballot - or the bottom. I’d rather not have the electoral process randomized by the uninformed. "Getting out the vote" is misleading - it’s calling us to vote for the sake of voting. But our vote means so much more. I’d rather see informational campaigns that motivate people to inform themselves - and then vote if so compelled by a sense of civic responsibility. How does this bill do that? “Be a good citizen - go register to vote. Oh, and if you don’t, you don’t graduate.” What kind of message is that? Voting is a right. It’s a responsibility. It’s not a requirement and registering to vote shouldn’t be either. It’s proposals like this that leave me with the feeling of “big brother” breathing down my neck. Surely the right to vote includes the right not to. What’s next? The end of the secret ballot to be sure we all voted. Fines or imprisonment for not being civic minded enough? Who will be the arbiter? Here’s the irony: These idiotic laws are being enacted partly due to a disinterested constituency. How many more before that same constituency ceases to be disinterested? I am admittedly one of the worst customers to come along. I have high expectations when it comes to customer service. I know what good customer service looks like, both in terms of giving and receiving it. Although the quality of the product or service being peddled is important, equally important is the relationship between the customer and the vendor. It’s more than just standing behind one’s product. It’s an intangible quality that leaves the customer feeling like he or she is the most important component to the vendor's business. The customer might not always be right, but he or she should leave feeling like it. Competent customer service is worth paying for. There are companies, some of them very large multi-national corporations that know where their money comes from. It doesn’t come from R&D, it’s not marketing or production or any of the other components that make up the structure of a successful company. The income - the money - comes from the customer. None of that other stuff would mean a damned thing if nobody spent their money on the company’s products (or services, etc.). To that end, every part of the company should be focused on making the customer the top priority. Unfortunately, committed customer service seems to be the exception rather than the rule. Apple treats its custom like they are more important than an isolated issued, which measured by itself might not be profitable. Case in point: My dad gave me his old Apple iBook G3 laptop when he upgraded to a G4. When it was a little more than three years old, it developed a problem in the video card. Of course, one can’t just swap out a video card in a laptop. It was a latent problem with these particular iBooks - Apple knew about it and offered to fix them at no cost for up to three years - two years beyond the original factory warranty. They didn’t have to. The warranty was clearly only one year against manufacturer’s defects in materials and workmanship. It is a pretty standard warranty. My iBook was beyond even the extended three-year grace period - but they fixed it anyway. No proof of purchase, no receipt and I’m not even the original owner, but they replaced the entire motherboard and cleaned it to near new condition for free. Hang on - it gets even better. They shipped me an empty box to pack it in. After packing it, I only had to make a phone call to DHL who picked it up the next day. If you’re counting, that’s three days so far. It was repaired and shipped back to me within seven days total. Not seven business days - seven days! And they weren’t obligated to do any of it; they would’ve been completely within their rights to say “sorry about your luck.” But they have an attitude that looks toward future business and ate a small loss to secure my loyalty. It worked. I am Apple brand-loyal. I’ll go to Apple first, even if there is a competitive product that costs less. Ok, perhaps Apple is an anomaly in respect to customer service. Surely no other corporations go the extra mile to keep its customers happy. Not so. Not only have I had similar repeat experiences with Apple, but also Canon (very recently) and Hewlett-Packard… and there are others. Additionally, there are retailers that treat customers similarly. The point is that with a sufficiently broad focus that isn’t aimed at capturing every opportunity to extract every available dollar, the long-term success of an enterprise is virtually guaranteed. Customer service is what separates the outstanding ventures from the also-rans. It’s what keeps me coming back. RLS 122. Perspectives on Leisure. Basic philosophical, historical, psychological and scientific foundations and developments in leisure and recreation theory; review of the cultural forces, institutions and theories that affect individuals and society. Prerequisite: Passing score on the WPE. 3 units. There has been much discussion of the “dumbing down” of America. Presented for evidence to this claim is the dismal writing skills exhibited by college students. To remedy this problem, universities and colleges have adopted a number of measures to assure that its graduates posses at least rudimentary writing skills. One such program is called “Writing Across the Curriculum” and spawned the “writing intensive” requirement. My major is essentially a dual major combining political science and journalism. At Sacramento State, political science is called “government,” but for all intents and purposes it’s the same thing. Virtually every government class has had a significant writing component, usually culminated by the ever-popular semester-end term paper. Added to the papers I’ve written for other classes outside my major... well, I’ve written a lot of term papers. Then there’s the journalism component. What can I say? You won’t go very far in journalism if you can’t write. Period. Yet, not one single class offered in the journalism department is designated “writing intensive.” Not one. That is not to say that all of my journalism classmates could write well. There have been a number of starry-eyed freshmen who have come through just knowing they would be the next Brian Williams or Soledad O’Brien. But their writing was dismal and they soon found other pursuits. I know how incredibly bad the writing skills of college students can be. I’ve witnessed it first-hand too many times. I am ever amazed how some of these students made it through high school English. It’s yet another testimony to the sorry state of our public school system. To further ensure graduates from Sacramento State and other California State University schools can write to a certain minimal standard, a “Writing Proficiency Exam” must be taken before the student’s second semester as a junior. They are given two or three chances to pass before being allowed to enroll in a remedial writing course that gets them around the requirement. Then they can enroll in a “writing intensive” course like “Perspectives on Leisure.” The good news? This sounds like it will be a fun class. It sure won’t tax my writing ability, not much is expected. It’s not a “walk-through,” however. I’ll have to write, but since writing is what I do… And since group work is a key component, I might be in a position to help my classmates with their writing as well. Furthermore, I might even learn something. Indeed, I already have and ironically enough (this shouldn’t surprise me anymore, but it still does) it looks like it will dovetail neatly into some of the other things I have going on. I guess that if I have to satisfy this requirement, there could be less pleasant ways of doing it.